St Moritz Upper Engadin introduced a new flexible pricing model for the winter season 2018/19. In the new model, the price for day and multi-day tickets varies according to demand. Furthermore, the time of booking also affects the price. Early bookers, who purchase their tickets up to 15 days in advance, receive up to 30% discounts on their ski passes. Now, after 4 months, the mountain lifts have made the first resume. The result, skiers are mostly accepting the new flexible pricing model. Thanks to the attractive early-bird prices and transparent communication. A recent article in the HTR outlines the customer satisfaction and success of the innovative pricing model. 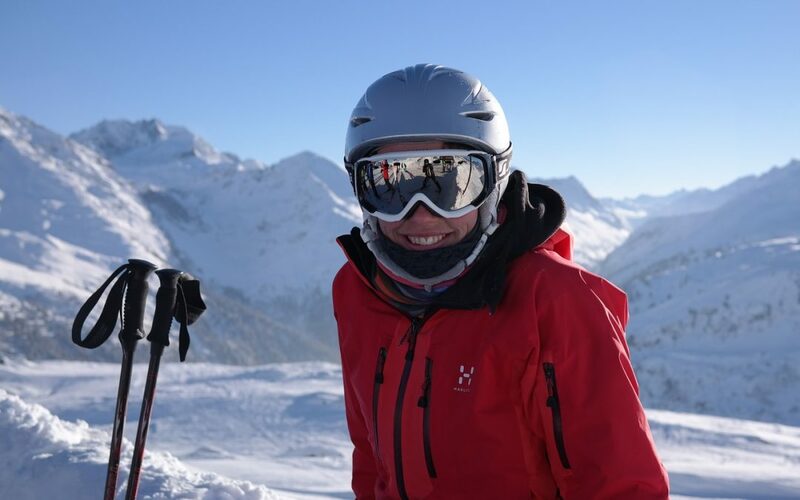 According to the article, skiers in the noble ski resort Engadin St Moritz have accepted the new pricing system positive. Especially, buyers of multi-day tickets benefit the most. More than half of all multi-day visitors have purchased their tickets online and in advance. Hence, they benefited from the early-bird discount. 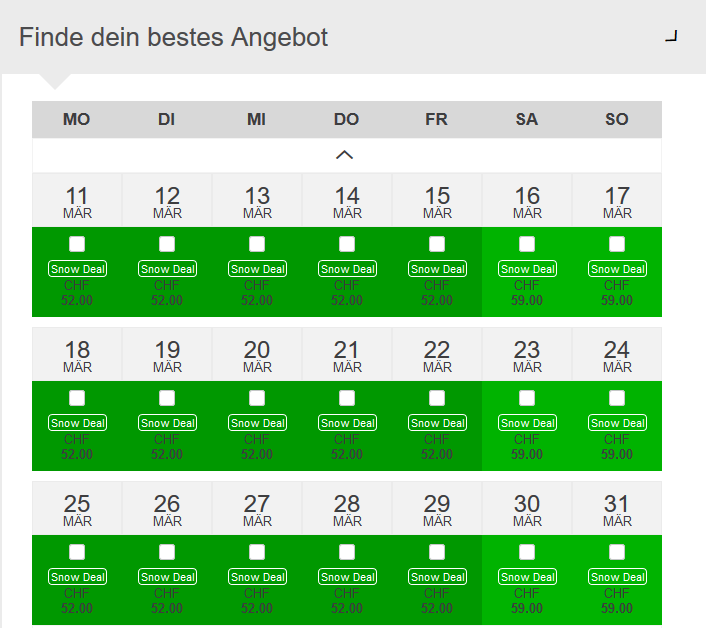 As a result, the mountain lifts enjoyed an increase of booking duration from 4.8 to 5.9 days. Due to the online promotion, the online share rose to an impressive 38%. This shows that skiers have understood the benefits of the online purchase and used it. In return, this eased the pressure on queues at the cash registers in the resort and made skiing a more relaxed experience. Because of the initial success of the new system, the “Snow Deal” will continue next year and ticket sales start will start in spring or summer already for next winter, according to the directors of Engadin St Moritz Mountains AG. Notably, the transparent communication of the pricing rules was critical for success. The customers understood from the beginning how they can benefit and used the opportunity. St Moritz clearly presented the new model in various videos, which are shown on their website. Furthermore, a coloured price calendar shows clearly the days with the best potential for skiers to save money. We recommend to launch dynamic pricing with small discounts and small surcharges first to educate customers, discounts and surcharges can be increased in the 2nd or 3rd season after launch. The success in St Moritz shows that Dynamic Pricing in ski resorts works and is likely to stay. After reviewing the performance, parameters can be adapted easily to tailor the price recommendations on specific goals, like incentivize online purchase, multi-day tickets, or off-peak attendance. A growing number of ski resorts is opting for dynamic pricing. After 4 months of the successful implementation in Engadin St Moritz, we have gathered three recommendations for ski resorts, which consider this new pricing model. Firstly, it is important to understand your own historic booking data properly. A detailed data analysis is necessary before you start changing your pricing. Secondly, we recommend simulating 2-3 options how to price dynamically to understand price – revenue effects of the new model. Thirdly, before go-live prepare a proper communication concept so that all stakeholders such as customers, hotels, ski shops, partners and the press understand why the new price model is introduced and how they can benefit. Please get in touch to request a demo of our Dynamic Pricing Software.